There are 4 classifications of triangles by angles. You are probably familiar with them, but glance at the following applets if you need a reminder. You just looked at this triangle, but we can learn about obtuse triangles from it. Angle B is the key. What do you need to remember about obtuse triangles? 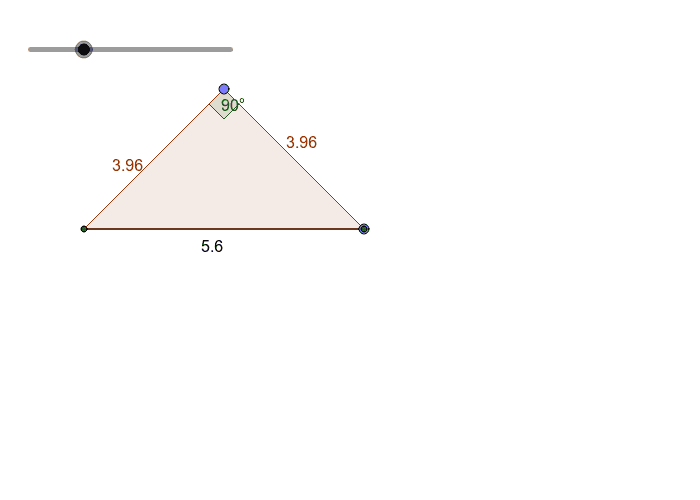 For this triangle, you can drag the slider to enlarge the triangle or the blue dot to change the shape. 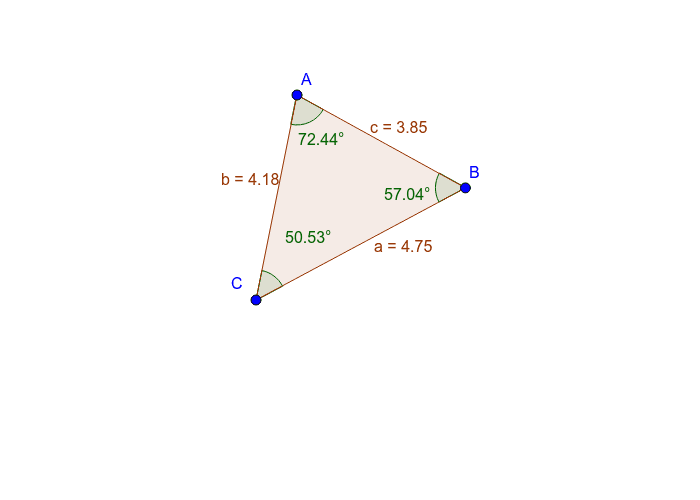 Drag the blue point on the triangle until you have two sides that have the same length. This triangle has a special name: isosceles right triangle. 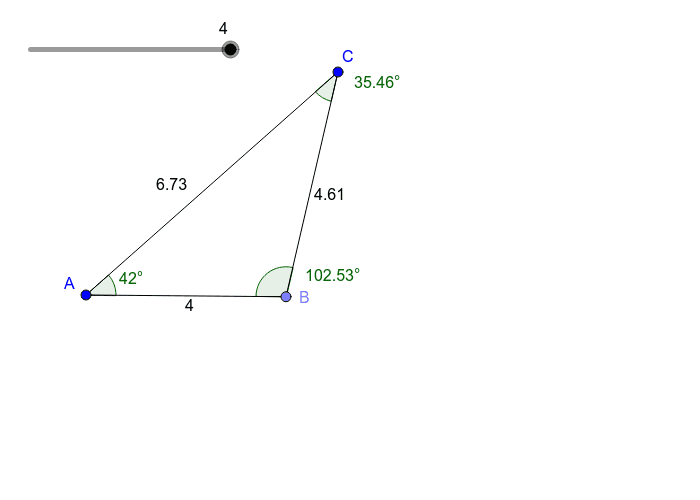 What would be the measures of the other two angles for all isosceles right triangles? And the last one for today is another that you have already seen. So, as you have probably already determined, an equiangular triangle is also an equilateral triangle. 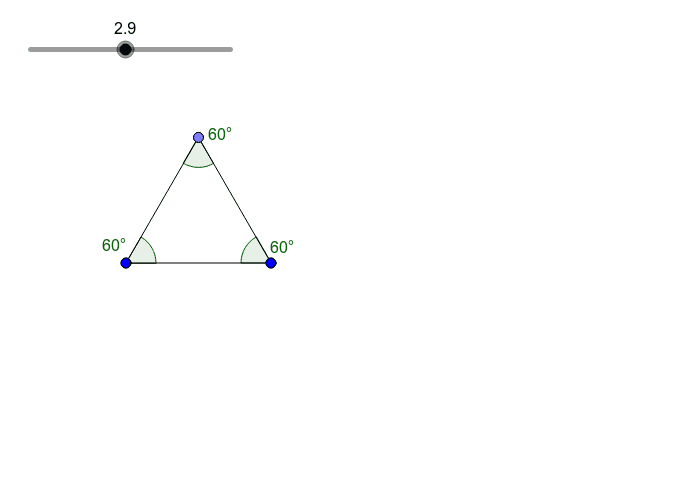 All equiangular triangles have all angles that measure ___________ degrees. Be sure that you recorded all your observations on your notes page!